In addition to quality web design, it is important to have consistent web hosting that you can trust to make sure that your new website is always available for your customers to use to make purchases, order services or interact with your customer service team. The most well-crafted website in the world won’t do you a bit of good if your customers can’t see it. Wareham Web Design has been providing local hosting solutions to our clients since 1999. We work with customers all over the South Coast region, including Southeastern Massachusetts and Rhode Island. Word about our quality web hosting services has spread and today we even have customers all across the country. It is our 99.9 percent guaranteed up time, top notch customer service and true 24/7 support that has helped us earn a solid reputation with business owners all over the United States. While many companies rely on third-party email services from Gmail or Yahoo! to host their business communications, the best way to make a professional first impression is to use a dedicated email domain. At Wareham Web Design, we provide each of our hosting customers with a dedicated email domain, which allows you to send and receive email from you@yourwebsite.com. Studies show that using an email address with your own company name attached to it adds instant credibility and boosts consumer trust over third-party email addresses. When we say that we provide you with a guaranteed 99.9 percent up time, what that means is that we rarely experience downtime. The reason we are able to deliver such quality service to our clients is because of our team of highly trained technicians who work to constantly monitor our services. If an issue is discovered, they are able to quickly make repairs and get your website back online in minutes. Whenever you have a question, need support or want to request changes to your account, Wareham Web Design’s web hosting services team will be there to help. 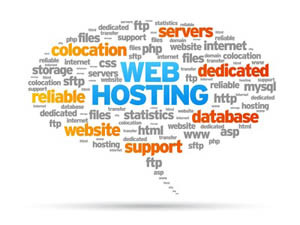 We currently offer three hosting packages for our clients to choose from at Wareham Web Design. Whether you require basic local hosting solutions or a package that includes more management or e-commerce functions, you will receive high quality web hosting services that come with a dedicated email domain, 99.9 percent guaranteed up time and 24/7 support. Contact Wareham Web Design Today! Call our local Southeastern Massachusetts office at 508-415-8648 or use our online form to make the switch to quality web hosting services from Wareham Web Design. Find out more about all of the professional services we provide, right here in Wareham, MA and beyond.